Sarah Paulson is on the go! The 44-year-old American Horror Story actress was spotted running some errands on Saturday (March 2) in rainy Los Angeles. Sarah was spotted visiting a nail salon and stopping at a gas station during her outing for the day. Sarah is currently filming her new series co-created with Ryan Murphy, called Ratched. 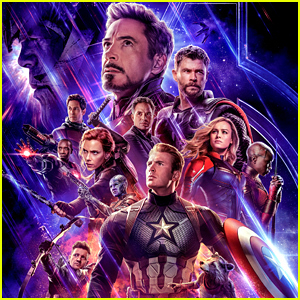 In the series, due out in 2020, a young nurse at a mental institution becomes jaded, bitter and a downright monster to her patients. Sarah plays the role of Nurse Mildred Ratched. 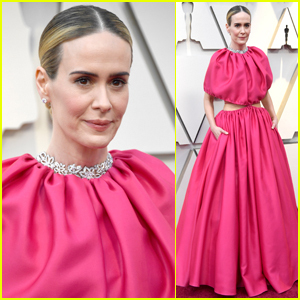 Sarah Paulson & Holland Taylor Step Out for Date Night in L.A.
Sarah Paulson Spends the Day Filming 'Ratched' in L.A.
Sarah Paulson Wears Green Dress on Set of 'Ratched' in L.A.
Sarah Paulson Wows in Pink at Oscars 2019! 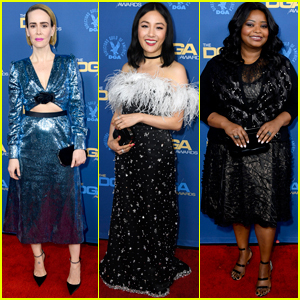 Sarah Paulson, Constance Wu, & Octavia Spencer Go Glam for DGA Awards 2019! 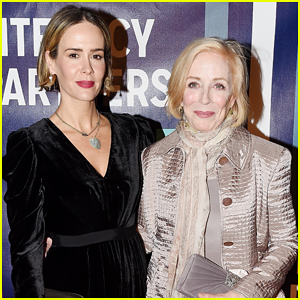 Sarah Paulson Reveals the Surprisingly Way She Met Girlfriend Holland Taylor - Watch Here! 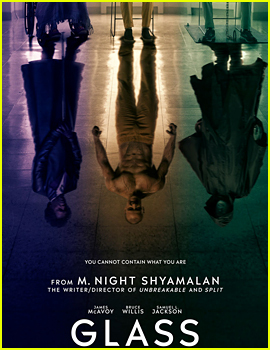 Is There a 'Glass' End Credits Scene?